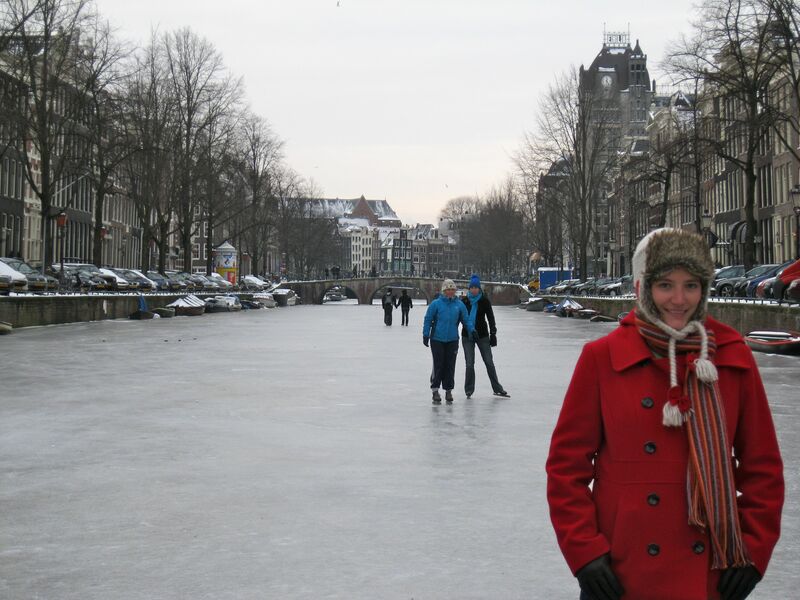 Skating on the Amsterdam Canals! | Where is Yvette? It should be noted that these pictures were taken on Monday as today was far sunnier. 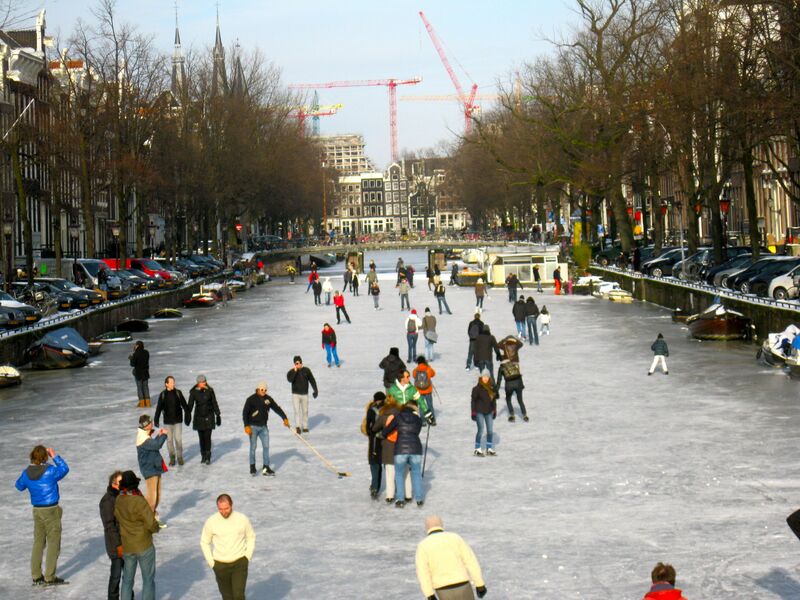 The Dutch basically take the afternoon off when there’s natural ice to be had, and there’s even a word for it, ijsvrij. I mean how could you not?! 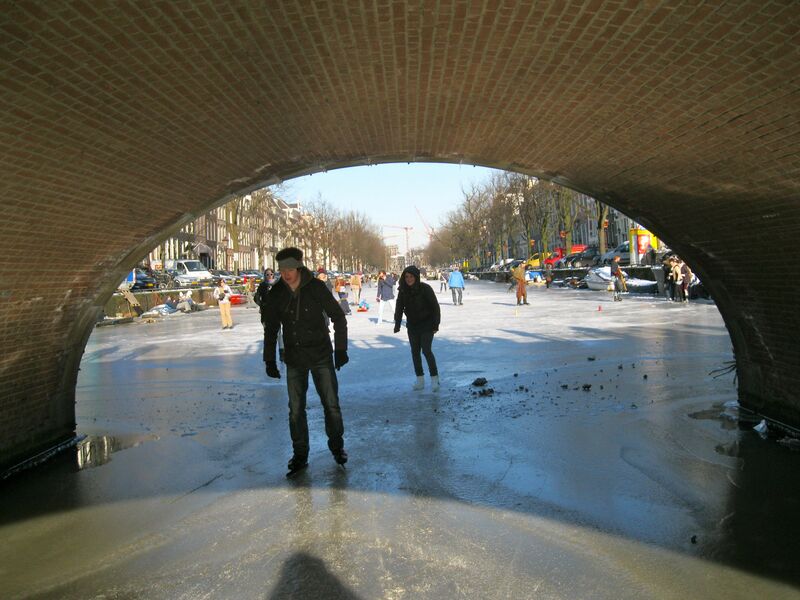 Natural ice just doesn’t happen every year, certainly not within the city of Amsterdam. 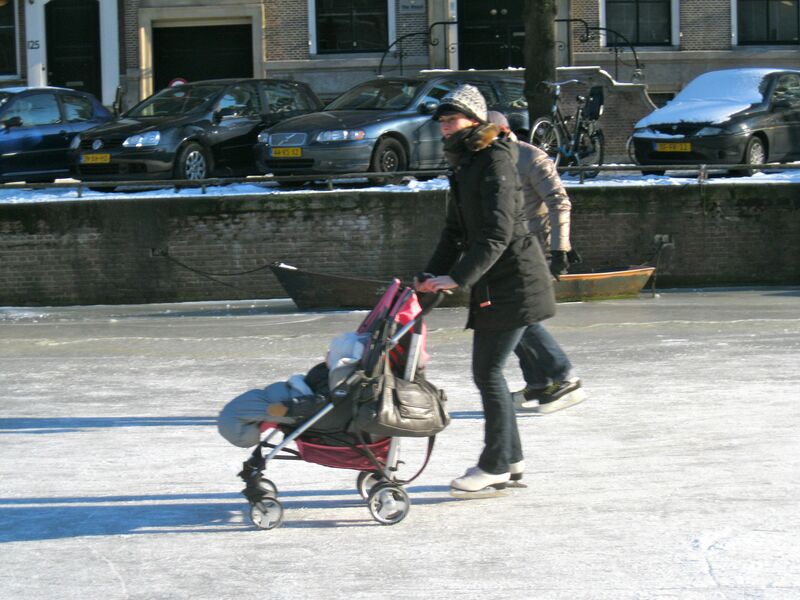 By the way, as a friend pointed out there’s definitely something a little forlorn about parents dragging their offspring around on sleds in a country with no hills. 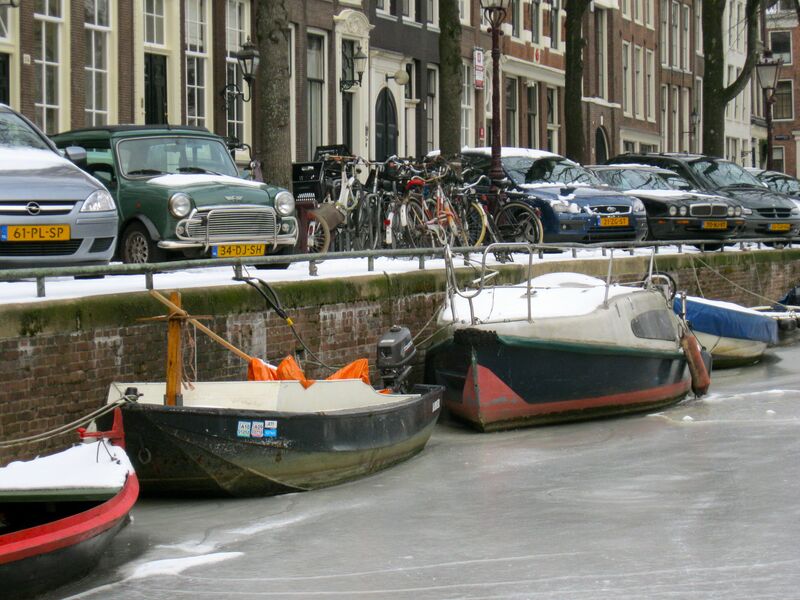 The Dutch will promptly tell you this is silly of you to note as there are canal bridges to be had, but this is just basically them revealing that they don’t know what they’re missing. 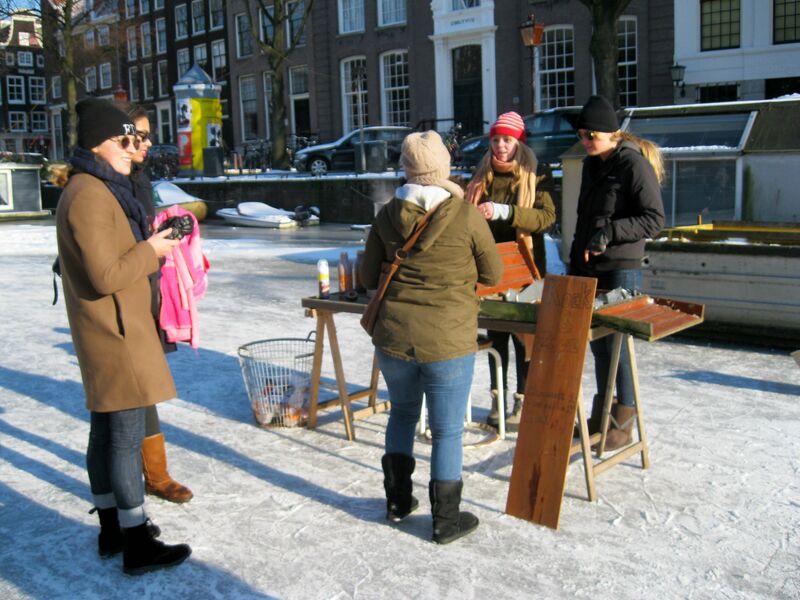 Another rather interesting thing spotted on the ice is the hot chocolate stand set up by some enterprising teenagers! The most amusing detail to me though is the kids had a bottle of rum and they’d give you a shot in your drink for 2 Euro extra. After all no one’s getting hurt and there’s money to be made, so who would let a pesky thing like liquor laws get in the way of that? So hey, good times had on the ice by all! 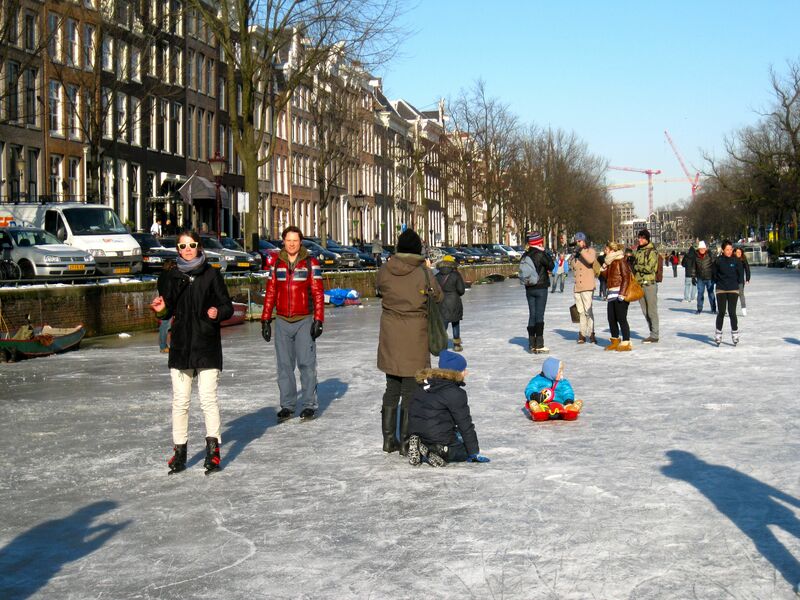 And if you are in or near Amsterdam at all the next few days you really have to check this out, the longest stretch right now starts on the Keizersgracht not too far from the Anne Frank museum. Looks like great fun. 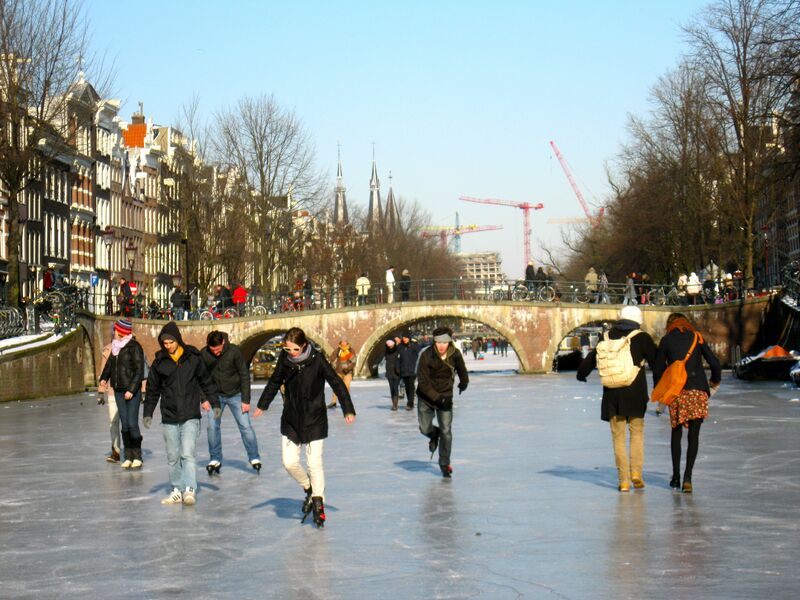 I’ve really enjoyed seeing people skating around on the canals of Amsterdam. I still have to step out on the ice myself though. Heya mademoiselle, check your BnA private messages.